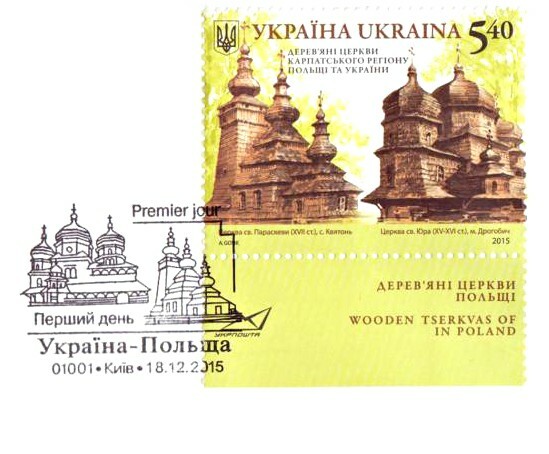 St George's Church of Drohobych, Ukraine (right). 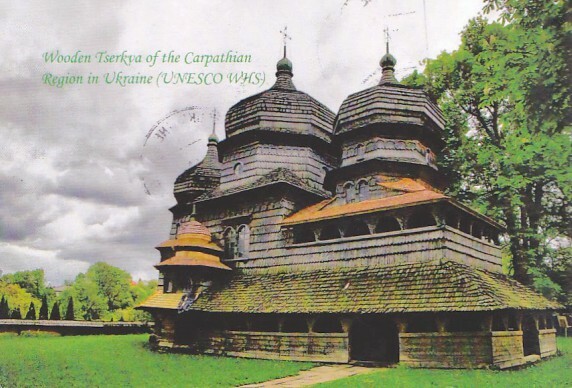 It is the oldest and best preserved church of the region, built around 1500. It was last renovated between 1678 and 1711. We saw one in Kizhi Russia, it was gorgeous. I can see why they are a World Heritage site. I can imagine children exploring every corner . . . the sound of their shoes giving them away as they run to hide . . . I know, i would have zoomed for one spot to another, needing to explore everything . . .
Great post and wonderful image and beautiful gems of sacred architecture. I really like churches. In my crack there are quite a lot. They're amazingly complicated buildings, aren't they? They are very different from the churches I saw in northeast Poland.